This website has tracked a number of my professional pursuits, from author’s notes and speeches to ongoing clashes with the NCAA and our experimental online college history class, “Citizenship and Freedom.” Here is something different. 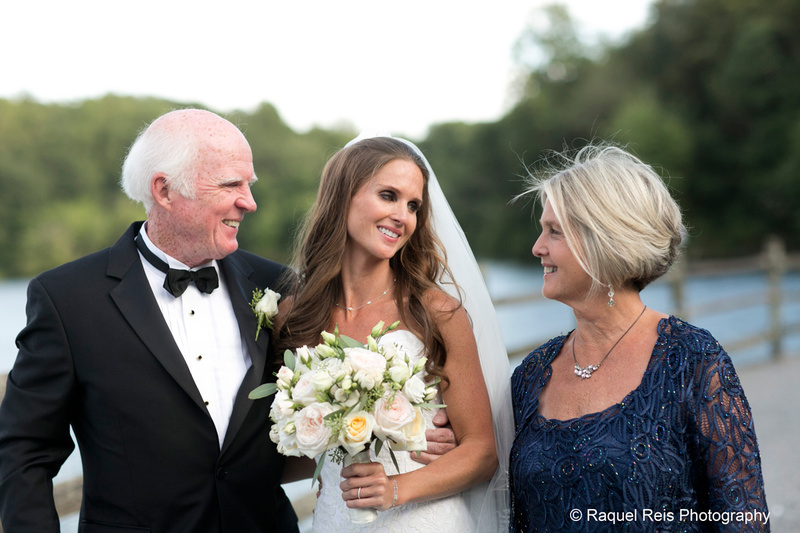 Our daughter Macy married John Macaskill on September 7. 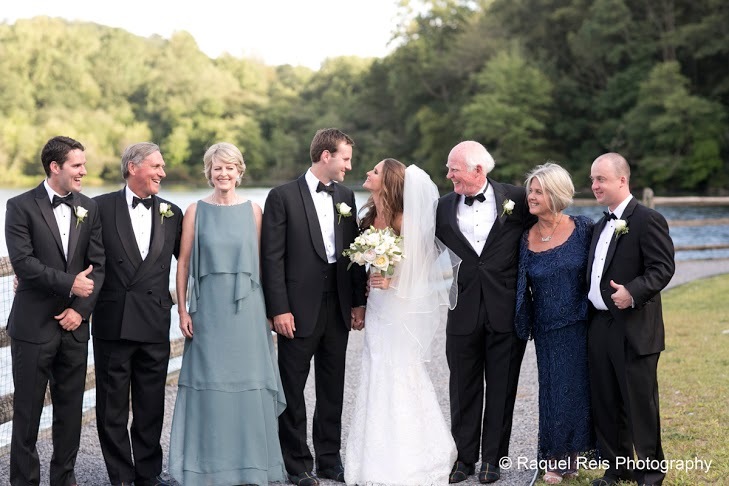 The official wedding photos offer glimpses of a storybook moment for our merged family and friends. 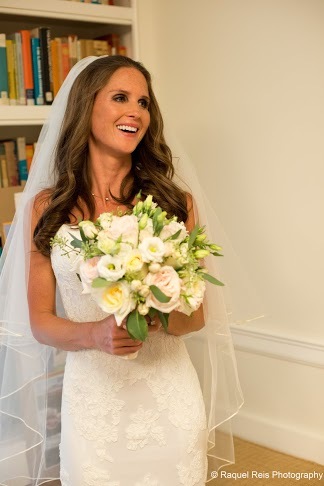 Christy and I are still amazed that we could produce such a beautiful, happy bride. 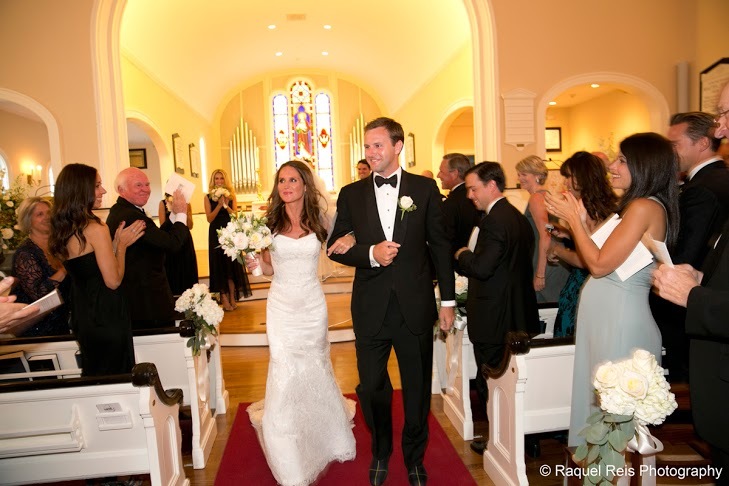 The ceremony took place at St. John’s Episcopal Church in Cold Spring Harbor, NY, where Macy had been christened. Her maternal grandmother, Kay Macy, has belonged there since 1950, and we were blessed to have “Mum” the wedding’s senior attendant at 101 years old! The immediate families posed afterward outside, with brothers Ben Macaskill (l) and Franklin Branch on the flanks. At the reception, hosted by our new in-laws John and Bridget Macaskill, Macy asked me to sing “My Girl” for her. This was a thrill second only to walking her down the aisle, but there was drama on the stage. Starlight’s bandleader said I was supposed to accompany myself. I panicked. With aplomb, she told me to stall while she urgently recalled musicians from their break. This video, courtesy of my brother Gary’s cell phone, picks up in mid-stall. Tradition obliges the father of the bride to offer a toast during the reception dinner. Despite rambling praise, mine did beat the strict 10-minute time limit. What bubbled up included a surprise tribute for Christy, who once saved Macy’s life, and my sister Lucie’s cell phone captured family memories for those who care to indulge them.